It seems the Denver Broncos may be looking in-state to potentially improve both their offensive and defensive line. According to Matt McChesney, linemen Dallas Fields, Justin Traxinger, Palmer White and Paul Thurston all received invites to the Broncos’ local Pro Day on Thursday, April 13. At 6-foot-3, 290 pounds, Fields was a load to handle at nose tackle during his time at Colorado School of Mines. A four-year starter, he finished his career with 168 tackles, 29 of which were for a loss, along with 7.5 sacks. He also garnered two First-Team All-RMAC selections and one Second-Team All-RMAC selection. Born and raised in Colorado Springs, the Pine Creek High School graduate lead 4A in sacks his junior year, and was a First Team All-League and First-Team Colorado Springs performer his senior year. Traxinger was a teammate of Fields’ at Mines, and also had a nice career. The 6-foot-7, 310-pound left tackle was a three-year starter, and accumulated First-Team All-RMAC and Honorable Mention All-RMAC honors during his tenure. In 2015, Traxinger was an instrumental component in leading the nation’s top passing offense, which allowed just 1.27 sacks per game. A product of Longmont, Colo., Traxinger had no shortage of accolades at Longmont High School. He was an All-Conference, All-Area, All-Region and Honorable Mention All-State lineman during his prep career. White is also an RMAC product, attending one of Mines’ rivals in Chadron State. A force at left tackle, the 6-foot-6, 285-pound Denver native was a three-year starter for Chadron. At Horizon High School in Thornton, Colo., White was mainly a blocking tight end and garnered All-Conference and All-region Accolades. 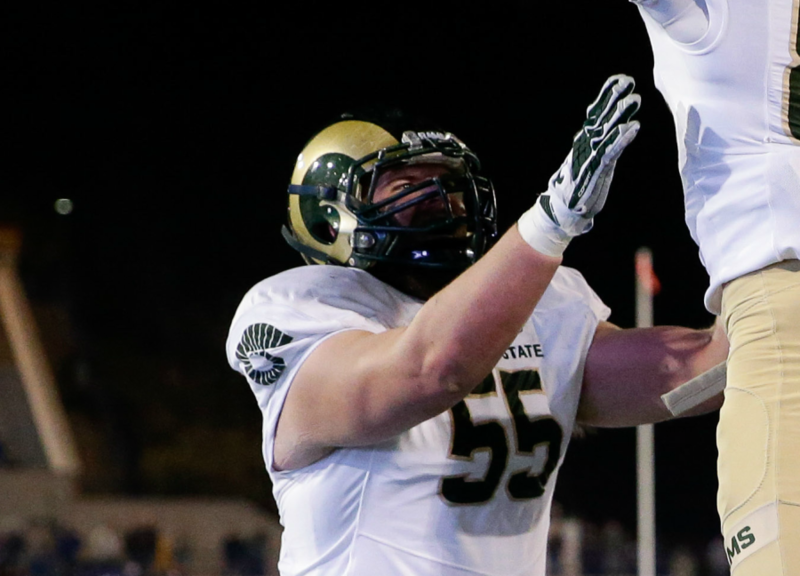 Thurston, unlike the previous three, was a Division I left guard at Colorado State University. He was an honorable mention All-Mountain West guard during his lone season with the Rams. Prior to his time at CSU, he spent four seasons with the Nebraska Cornhuskers, appearing in 23 games, largely on special teams. Coming out of Arvada, Colo., Thurston had a stellar prep career at Arvada West High School. He was a 2011 Colorado Class 5A First-Team All-State selection, along with two All-Conference nods.